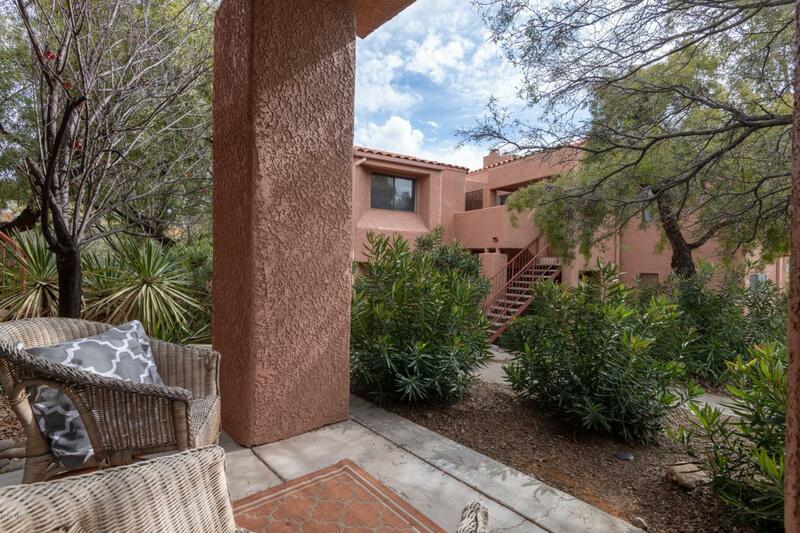 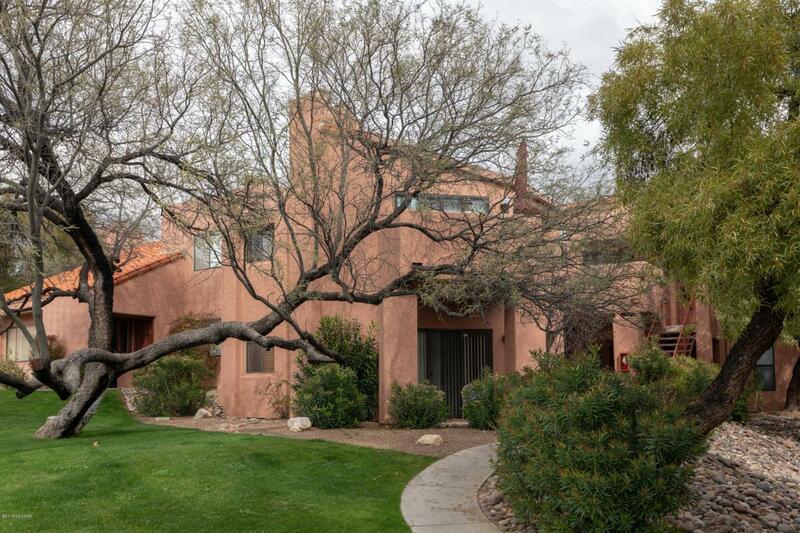 Private ground floor condo with an abundance of natural light in the gated Catalina Foothills community of Ventana Vista. 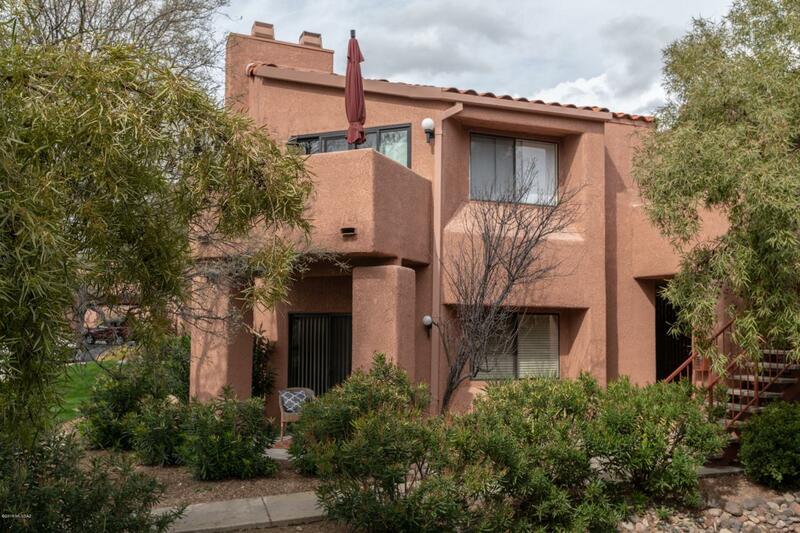 This Northern Tucson property features an open layout with a covered patio overlooking grassy park-like grounds, kitchen with stainless steel appliances and corian counters, romantic wood burning fireplace, dual pane windows throughout, spacious master suite with walk-in closet and resort style HOA amenities in a convenient location near Sabino Canyon Park, shopping and numerous restaurants. 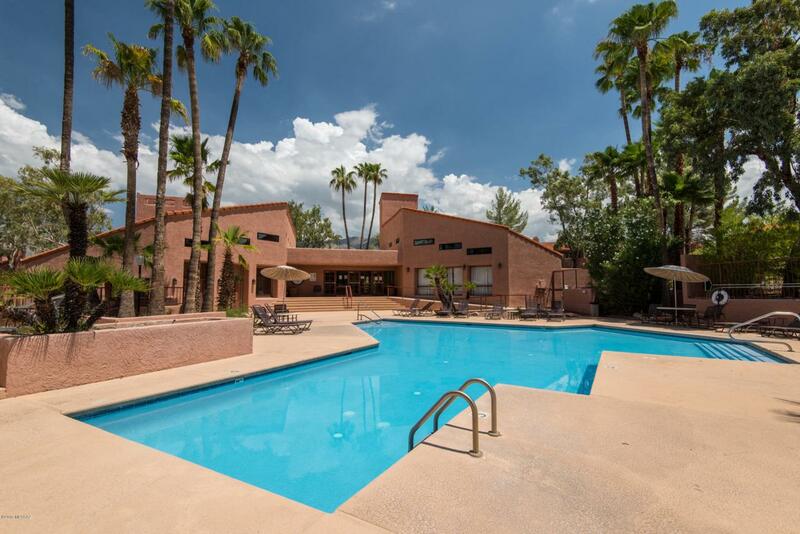 The Ventana Vista Condos feature an enormous clubhouse with tv , library, kitchen and pool table, exercise facility, tennis / pickle ball court, heated pool & two spas, bike storage shed and gas bbq grills spread throughout the community.